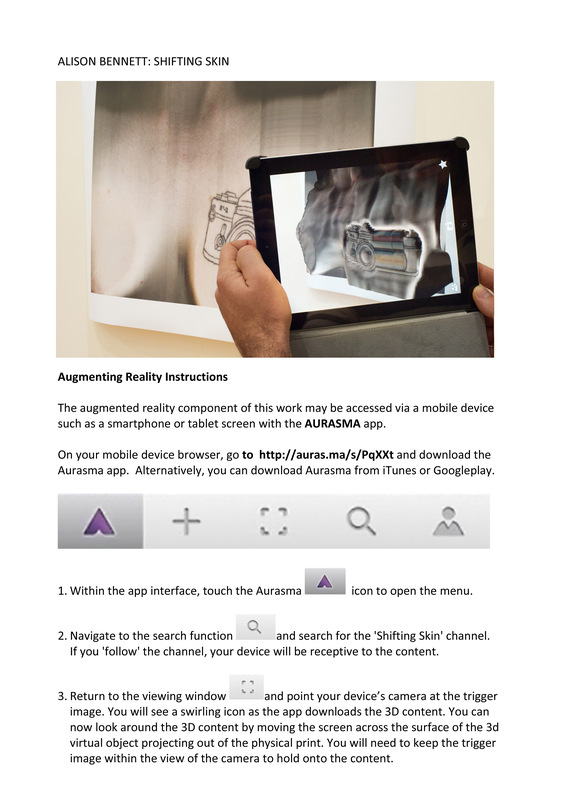 The augmented reality component of this work may be accessed via a mobile device such as a smartphone or tablet screen with the AURASMA app. On your mobile device browser, go to http://auras.ma/s/PqXXt and download the Aurasma app. 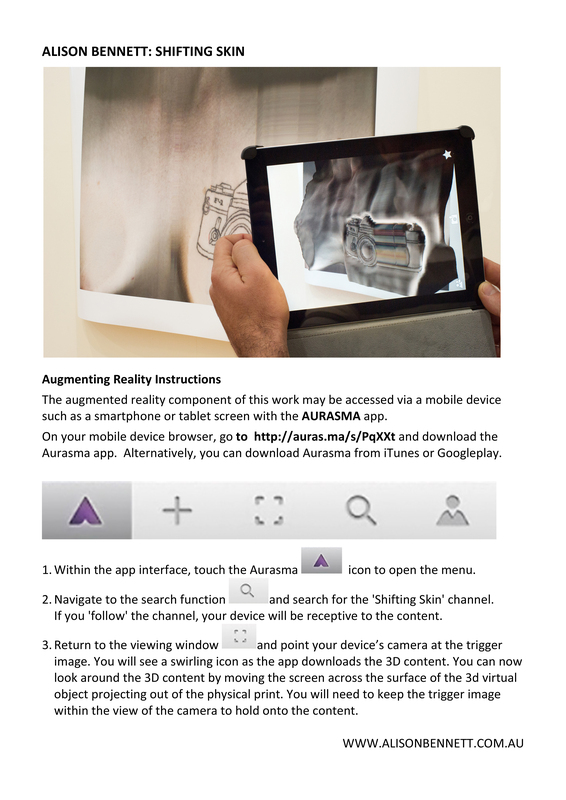 Alternatively, you can download Aurasma from iTunes or Googleplay. 1. Within the app interface, touch the Aurasma icon to open the menu. 2. Navigate to the search function and search for the ‘Shifting Skin’ channel. If you ‘follow‘ the channel, your device will be receptive to the content. 3. Return to the viewing window by clicking the square brackets and point your device’s camera at the trigger image. You will see a swirling icon as the app downloads the 3D content. 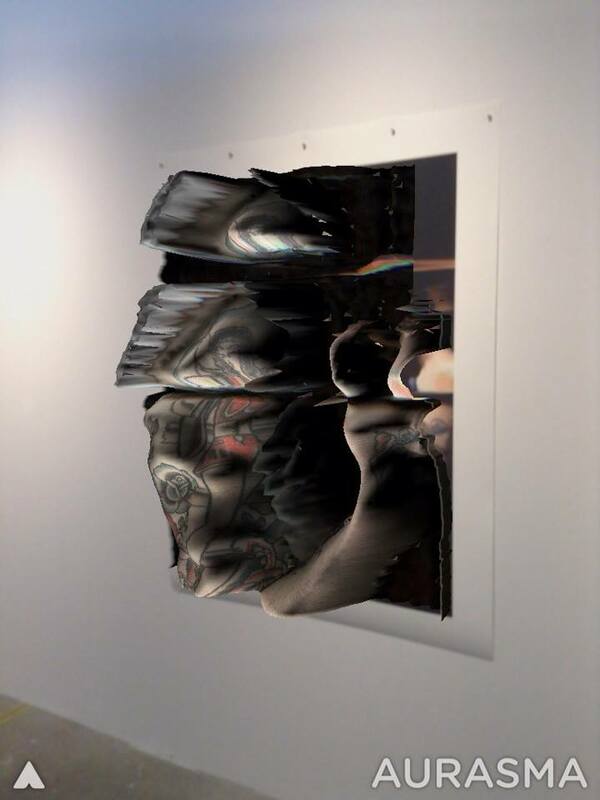 You can now look around the 3D content by moving the screen across the surface of the 3d virtual object projecting out of the physical print. You will need to keep the trigger image within the view of the camera to hold onto the content.